Nicholas Barnes is a barrister with expertise in family financial disputes and a broad practice in civil litigation. Nicholas is the Head of the Civil and Family Teams. Nicholas frequently appears in the courts in trials, applications and interim hearings in the first instance and appellate jurisdictions while managing a diverse practice advising on paper and drafting statements of case. He appears in the County Court, Family Court, Tribunals, Court of Protection, High Court and Court of Appeal. Nicholas applies ability and originality to a gamut of complicated legal disputes. He is an inventive and lateral thinker who works confidently across his skill areas. His practice range and deep legal comprehension ensures complex cases are clearly traversed. Nicholas is hardworking, gets tasks done, is very approachable and is very willing to help. 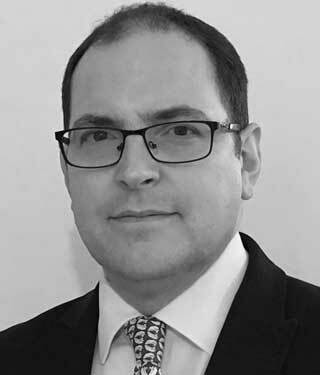 Nicholas enjoys contributing sensible and effectual answers to the problems faced by solicitors and clients. He enjoys working as part of a team with solicitors and clients. He is well-known for taking an innovative sensible approach to clients’ troubles. He strives to bring cases to a rapid, cost-effective and reasonable close. Nicholas can receive instructions by direct access directly from members of the public and businesses. The abduction by a parent of children to a Hague Convention country (their country of birth). A property dispute concerning the impact of a financial remedies order and a conflict with a family member who invested in the marital property after the order was made. An application under Schedule 1 by a parent with one child against a parent with one child for similar property provision and contrary to earlier financial remedies order. A boundary and party wall dispute concerning a fire break and wall covering part of a building. Financial remedies appeal in the Court of Appeal concerning whether the lump sum order against a husband could be enforced against a trust. A residential property dispute concerning counter allegations of neglect and dilapidations. A section 37 application in financial remedies to set aside the transfer of company shares. Financial remedies appeal where the judge made a final order before decree nisi. A Barder application concerning physical and mental health issues arising after a final financial remedies order.